I was corresponding with my aunt who lives in France and she mentioned a homeopathic supplement called arnica that the local runners use. I think arnica is used primarily as an anti-inflammatory rather than for performance. In the January issue of TrailRunner magazine, columnist and ultrarunner Bernie Boettcher writes about how some supplements are merely everyday things that are packaged to appear extraordinary. His example is coffee. Bottling coffee and selling it under another name at a higher price might yield to some profitable sales. It's legit -- coffee and caffeine are proven to enhance performance, so people would be getting what they pay for. They'd just be paying more than necessary. I know that caffeine works but I don't know of too many other legal performance enhancers that do. 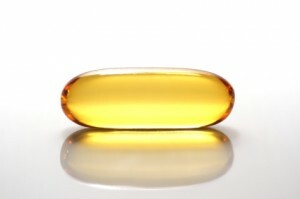 I've started taking fish oil on a regular basis, not for performance reasons but because Omega-3's supplied this way seem to be universally recommended by health care professionals. I've noticed that Scott Jurak endorses Udo's Oil, an Omega supplement that supposedly enhances stamina. With that in mind I've noticed that my own stamina seems to have improved since I've begun taking fish oil daily. It could be coincidence, the placebo effect or a boost that comes with a good change in diet. I've experienced performance improvements in the past that come from changing my routine or gear (my pace on my first few runs in the Kinvaras was noticeably faster than with my GTS 10's) but things tend to reset soon afterward. This week I've run on the treadmill a few times and today I used the elliptical. In each case I performed better than usual. Not measurably better, but enough to notice a difference. It could be a lot of things but I'm hoping it's the fish oil. Since I'm taking it anyway, why not enjoy the benefit?